4.5	stars -	"Review for Paqua Midi Water Proof Case" Mark Taylor This Paqua Midi Water Proof Case is the best GPS and Windmeter I have tried. Featuring the latest construction techniques and materials, the PAQUAmidi has a built-in arm / leg strap made from comfortable neoprene and velcro. 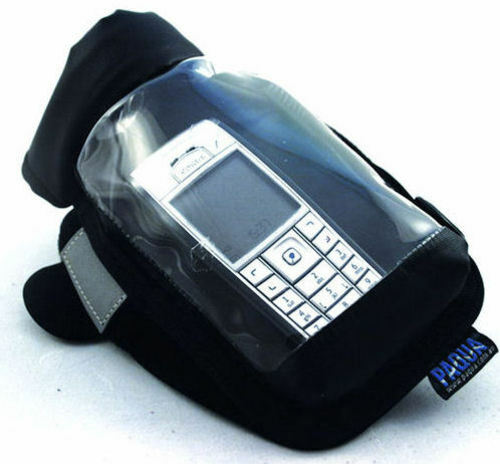 As with our other clear membrane products, you can speak through the material whilst fully enclosed, or use your PDA or GPS functions. With its additonal reflective safety strap the PAQUAmidi can be seen from a distance at night; it's compact and small, but big on ability!